Archiving Archives - LABORSCIENCE A.E. 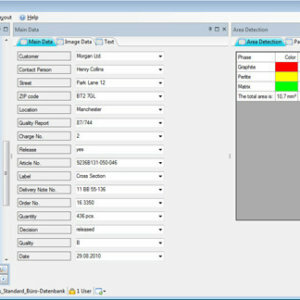 Basic Module: SQL-based Image Data Base - Basic Module and "control centre"
The Basic Module is the cornerstone and "control centre" of the dhs Image Data Base. All objects, data sets and file types are managed here centrally in one place by means of a freely editable data tree. Using the "data base designer" you can freely configure data base fields in terms of their form, function and layout – the link function offers the option of linking objects and data together.